The process of engagement between the mining industry and faith community took a very different and innovative step on October 9th when the Anglican Archbishop of Cape Town, Archbishop Thabo Makgoba, hosted a conversation that focused on mining in southern Africa and even more specifically on South Africa. This event was preceded by three previous Days of Reflection; two hosted at the Vatican by Cardinal Peter Turkson, and one at Lambert in London hosted by the archbishop of Canterbury and the President of the British Methodist Conference. 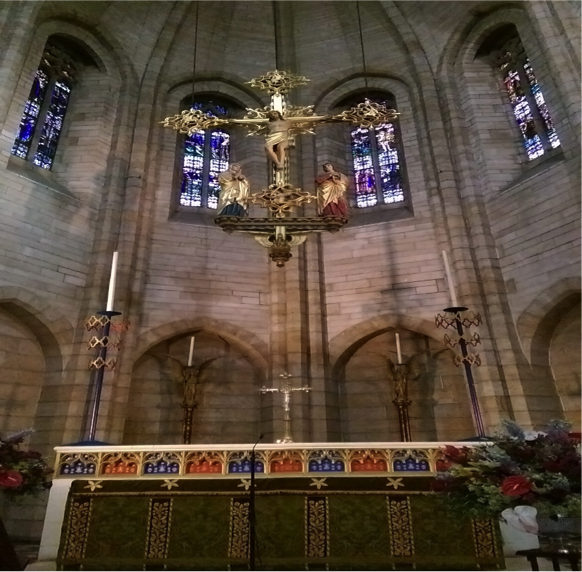 The conversation was bathed in the traditional prayer moments of Evensong and Morning Eucharist. The event opened in the cathedral of St George the Martyr in downtown Cape Town and the morning Eucharist was celebrated in the historic church of The Good Shepherd Protea, located at the edge of Kirstenbosch and near Bishopscourt, the residence of the archbishop. The day of courageous conversation was intended to provide a safe space for a multi-perspective examination of the issues, opportunities and challenges that mining in South Africa presents, and to explore what initiatives might be undertaken to address these realities. In both the opening prayers and his opening address, Archbishop Magoba did not shy away from the harsh and painful realities that the industry has encountered and caused. In the opening service the following prayer was offered. The archbishop composed the prayer during the protracted strike at Marikana, a site of major confrontation between miners and police in August 2012 when over 40 people died. “Lord we are still mourning and grieving. We are still searching for the full truth about Marikana. We can’t kill and maim to sustain inequality. Lord, there is something amiss in this economic system and we know it. May owners, investors and shareholders feel the pain and longing for peace. May workers and mine owners find one another. May further hurt, pain and killings be averted, and may politics serve the people for the sake of peace. In his opening address the archbishop recounted his own connections with the mining industry. He talked about how his father, “a self-supporting church minister”, traveled as a clothing salesman through the mining towns west of Johannesburg. He also spoke of his own experience as a psychologist working with miners who had suffered spinal cord injuries. 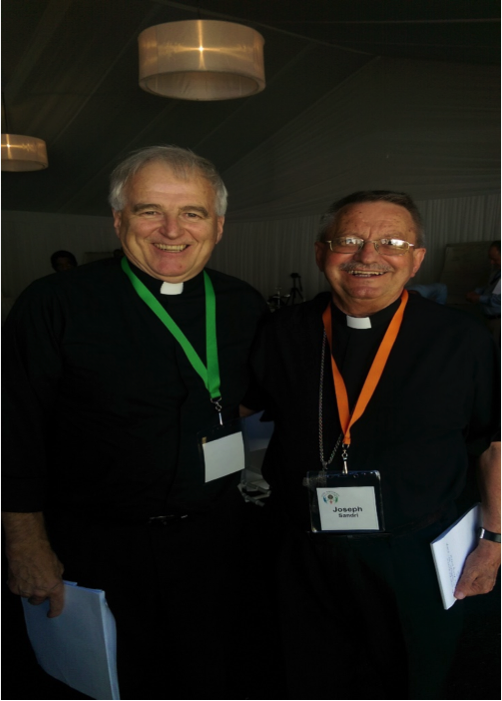 He recognized that one of the important steps in a day of courageous conversations is the recognition of shortcomings and failures and he listed some of the ways in which the “churches have failed the mining industry”. 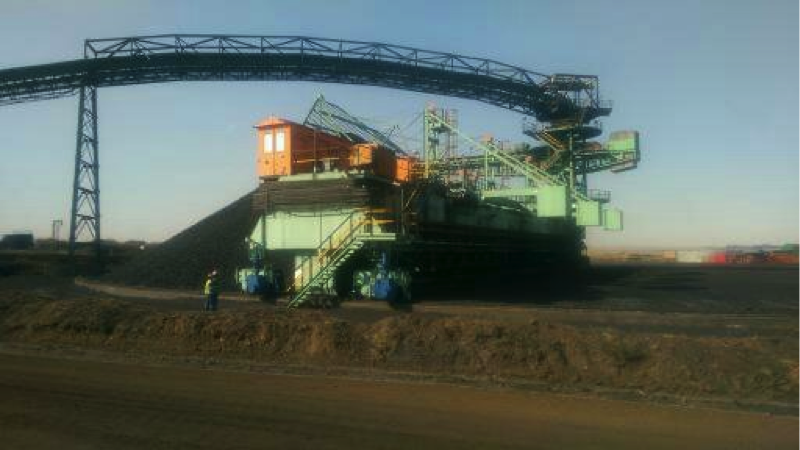 These included “how risky mining is economically”; how we have not understood “the aspirations of people who want to earn R12,500 a month (about $920 US dollars) for working in conditions of extreme heat on stopes (cut out open spaces) lying kilometers down in the earth”; or the “constraints on managers facing the relentless pressure of meeting shareholders’ expectations for better results every quarter”. He suggested that the process for the conversation be one “of lamentation in the sense of the Book of Lamentations in the Old Testament,” where we move beyond navel gazing and exposing one’s vulnerability but “exposing it as a tool for leadership, because you can’t say let us move forward together without acknowledging the failures of the past”. He further explained that the objective for the day would be achieved if each participant brings “their own unique concerns and contributions to this conversation, and what is of overriding importance is that each one of us tries to put ourselves in the shoes of those with whom we are in dialogue”. 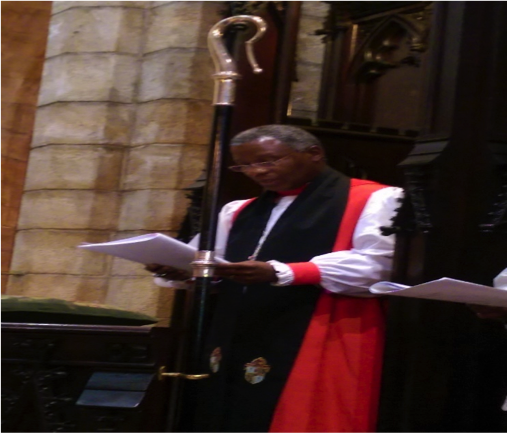 Archbishop Makgoba listed the following concerns that were on his mind: mine health and safety issues, environmental degradation, social cohesion and wealth disparity. He called on labor to look at models for working jointly with management and asked management to “look at the huge disparity between executive pay and that of workers”. Throughout a series of panels and small group discussions, the 30 plus participants followed the advice of the archbishop and were frank and attentive in their remarks and in their listening. Among the additional issues raised were concerns about “collective wealth and income inequality”; the inadequacy of the percentage of profits that are returned to local mine site communities; and the role of government and the loss of their voice in the conversation (the event overlapped with the annual convention of the ruling party). Questions raised for consideration and action included the prophetic and imaginative roles and platforms of the churches; a role for the church in managing conflict when it arises between parties; “when are excessive profits immoral”; increased transparency by the industry, especially with local communities; and development of an agreed upon set of best practice principles for community engagement. The day concluded with a number of pledges for action being offered and accepted by both industry and the church. These embraced very specific projects at local mine site community levels, as well as developing a strong capable institute that could serve as an impartial resource and party to wrestle with many of the issues that could only be identified and briefly considered during the course of the day. This included issues and concerns that are very local and immediate, as well as the broader cross cutting issues of employment, energy, technology and environment that are present in communities across the country and the world.